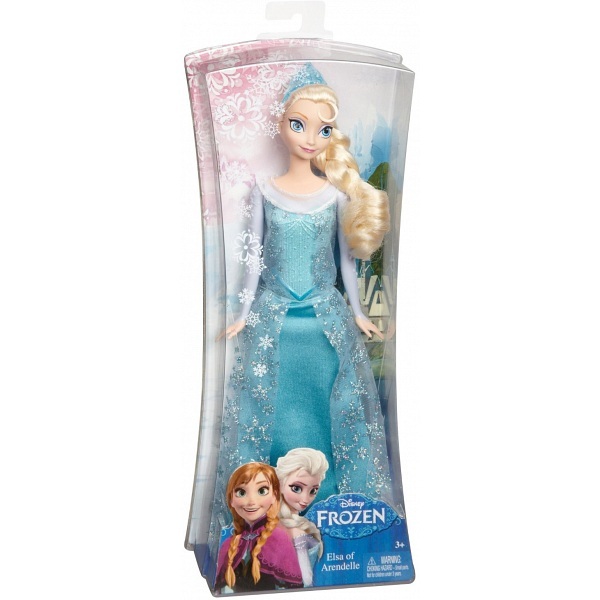 Disney Frozen Sparkle Princess Elsa Doll is this years 2014 most wanted childrens / kids Christmas present / gift doll. 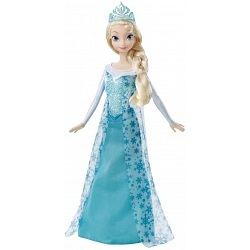 Kids will love re-creating Elsa's icy cool adventures in Arendelle with this delightful doll. Featuring true-to-movie details, Elsa wears the signature gown and "icy" cape fans of the film will instantly recognise. Just like Elsa's cool magical powers, this outfit sparkles with details inspired by winter. Her enchanting gown is a one-of-a-kind design recognisable from the Disney movie. 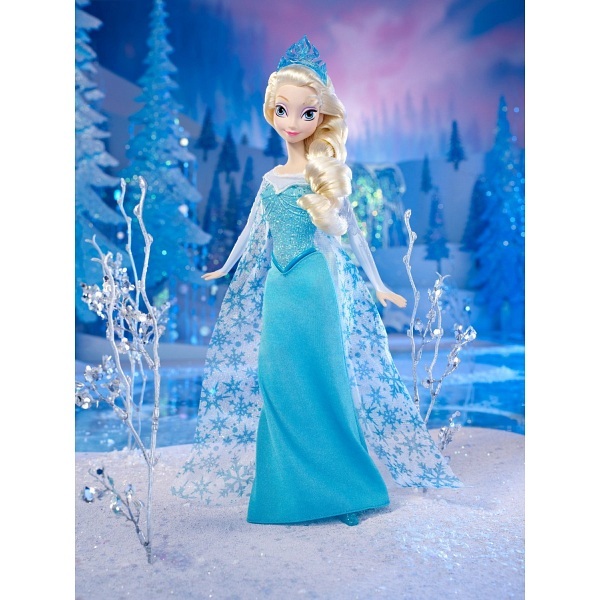 She wears an ethereal cape accented with sparkly snowflake designs over her satiny blue dress with glitter details. Wearing a sparkly cape, glittery blue shoes and her iconic blue tiara sparkling on top of her long blonde, braided hair, Elsa captures the magic of the film from head to toe. In this lovely look, she is ready to brave the ice and snow and find happiness for the entire kingdom - and herself. Kids will love playing out their favourite scenes from the film as well as creating new adventures for this elegant and enchanting character.